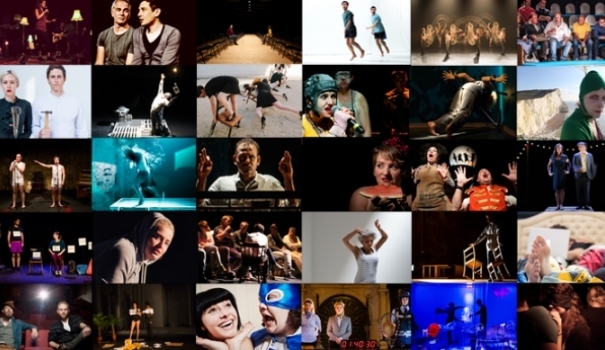 The British Council is calling for artists with exceptional new productions to apply to be part of the next Edinburgh Showcase – our biennial platform showing the best of contemporary UK theatre, dance and live art at the Edinburgh Festival Fringe. Taking place on 21–26 August 2017, the Edinburgh Showcase programme will feature outstanding small and middle-scale productions made in the UK that are suitable for international touring. The programme is renowned for starting international careers and highlighting some of the most interesting new work in the performance scene. Previous programmes have included new writing, devised theatre, contemporary dance, live art, performance installations, and interactive and immersive theatre. We invite over 200 delegates to attend each Edinburgh Showcase from our international network of performing arts professionals – including key programmers, producers and agents as well as overseas British Council colleagues. In 2015, we welcomed delegates from over 40 countries. 2017 is the 20th anniversary of the Edinburgh Showcase. Since our first Showcase in 1997, the event has given hundreds of theatre and dance companies the opportunity to tour overseas and develop new relationships. If you’re a UK-based artist with a production to propose for Edinburgh Showcase 2017, apply by 14 November 2016. If you’re a performing arts programmer based outside the UK and you’d like to attend Edinburgh Showcase 2017 as a delegate, contact the British Council arts officer in your country to express interest or email edshowcase@britishcouncil.org. To hear which artists will be part of Edinburgh Showcase 2017, watch out for our programme announcement in spring 2017. To be the first to hear, sign up to our newsletter and follow us on Twitter @UKTheatreDance. Everyone is welcome to see Edinburgh Showcase performances. When the programme is announced, you can buy tickets from the Edinburgh Festival Fringe or the venues where the performances are taking place.